Christmas is only a couple days away and we can't wait, how about you guys? 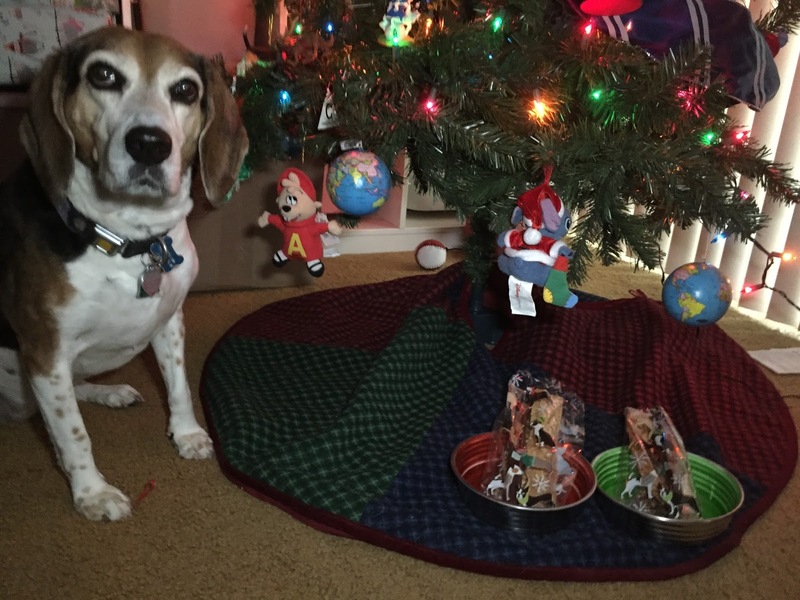 We're pulling out all of our Christmas stuff, and we're excited about these new pet dishes we got from Loving Pets. Check out the Le Bol series, and enter to win a set of them! Lulu models two of the Le Bol pet dishes. The Le Bol dishes are stainless steel, but they have a glazed ceramic look to the inside, which comes in 5 colors, including bordeaux and chartreuse, perfect for Christmas! Plus the chartreuse really matches me site, right? Other colors include lilac, Parisian gray and Seine blue. See them all here. The bowls are also dishwasher safe, in the top rack, and rubber on the bottom to help stop skidding. The Le Bol dishes come in four sizes. 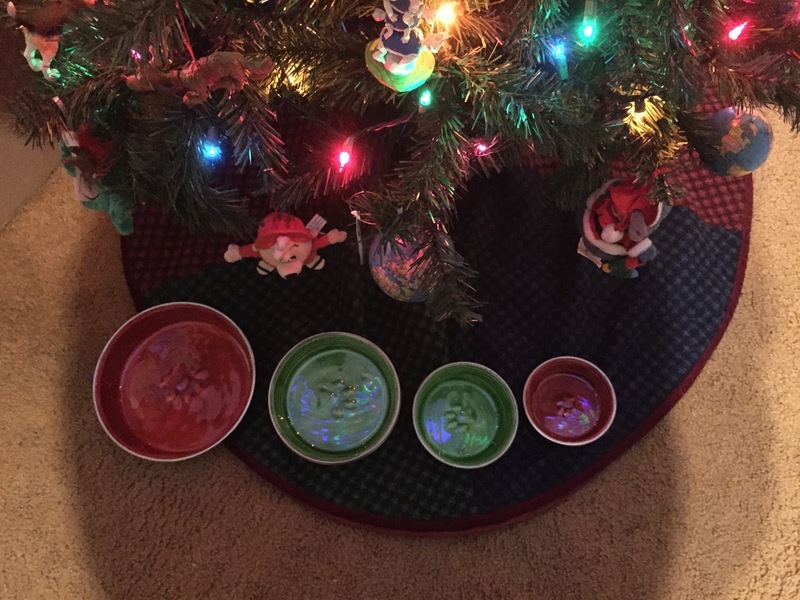 The bowls come in four sizes -- extra small, small, medium and large, to fit your pets' needs. Find them at pet boutiques, and of course, on Amazon. And now you can win a set! Fill out the randomizer widget, including commenting on this post. 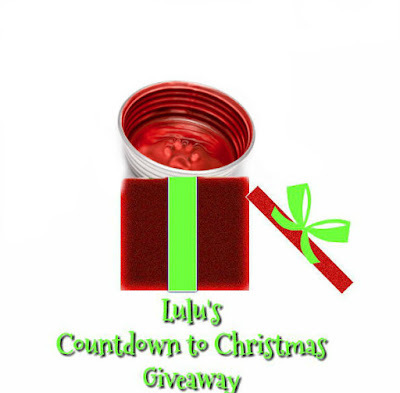 The giveaway ends Dec. 31. Good luck! What a beautiful bowl! All the colors are really pretty but I like Seine Blue Le Bol the best. I like the seine and the Bordeaux. my favorite is the LE BOL™-BORDEAUX, it is close to red. I love the lilac bowl. I like the lilac color the best. Thanks! I guess I'd have to pick the Seine Blue as my favorite (although my favorite shade of blue is more like sapphire). I'm thinking I'd probably need a size large since I have three rescued Coonhounds.